I’ve always been intrigued by the Manic Street Preachers, I’m not entirely sure why but I’ve always been drawn to their aesthetics even though I’ve never given them a true proper listen – that is until now. Resistance Is Futile is an album both as hopeful and defiant as it is cynical. In one breath they make sweeping hyperbolic statements about how bad times are and the general decline of society, while in another breath they speak about hope and fighting against the rising tides. It’s a dichotomy that serves to drive home the meaning of the title and artwork of the album. Resistance may be futile but they’re one of the last warriors still fighting to their last breath. It’s solid raucous rock with a touch of punk spirit that gets the blood flowing and has you ready to stand up and fight. It’s time a gave their full discography a proper listen. “Are we living in the past? Won’t you say that you love me? Have you heard Resistance Is Futile? What’d you think about it? How does this compare to their past projects? Let me know in the comments below and be sure to leave your own ratings and reactions for the album. 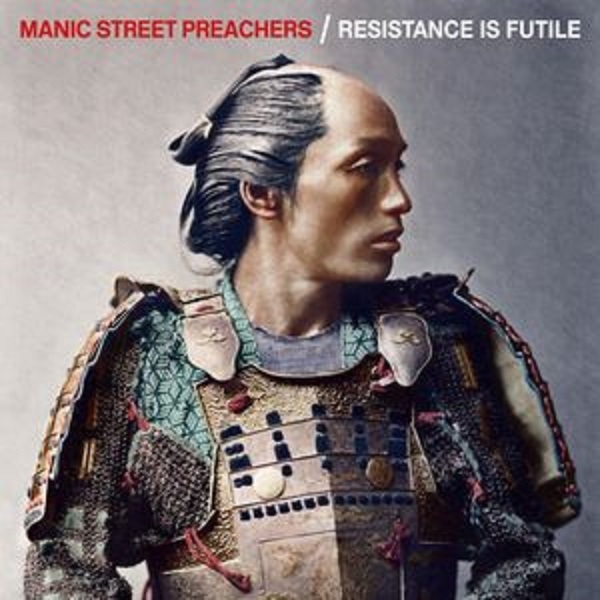 In the Manic Street Preachers' latest, resistance may be futile but they're one of the last warriors still fighting to their last breath. It's solid raucous rock with a touch of punk spirit that gets the blood flowing and has you ready to stand up and fight.